Daily morning or afternoon tour. Off season or late/early season to avoid the Summer crowds. We are comparing Cannes, Antibes, and Saint-Paul-de-Vence Half-Day Tour Prices from leading ticket suppliers and Try to find you Cheap tickets prices on the market. The French Riviera consists of picturesque villages, medieval towns, and glamorous cities, each location boasting stunning landscape and sea views. 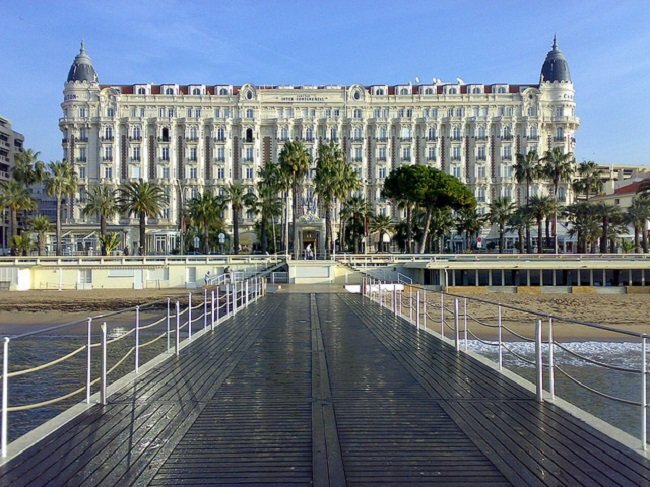 Cannes needs no introduction, this being the home of the famous Cannes International Film Festival that has seen countless celebrities walk the red carpet at Cannes Film Festival Palace as well as along the Promenade de la Croisette with its long stretch of luxurious hotels. Saint-Paul-de-Vence is a charming medieval village with stunning sea views known as 'the jewel of the Côte d'Azur'. Historically and culturally important, this village was made famous by the many actors and artists that frequented it including Matisse, Dufy, Braque, and Bonnard. Antibes is a Provençal market town with harbour that was once the home of Picasso. Today its port welcomes the super yachts of the rich and famous, Port Vauban being the largest in the French Mediterranean. The towns ramparts were built by Vauban making this town a delightful mix of old and new as you step between the old town and the new. A great trip for people who want to see more of the French Riviera, discovering the hidden historic side as well as the world-famous glamorous side in as short a time as possible. Culture vultures, photographers, and art historians will all enjoy this trip. The driver/guide gives you information about each place but then lets you go and explore on your own so this tour is not suitable if you expect a guided walking tour of each place and don't want to wander the streets on your own. Your Experience With Cannes, Antibes, and Saint-Paul-de-Vence Half-Day Tour? You will be collected from your central Nice hotel at the prearranged time and, after collecting the other guests, will begin your journey to see some of the best places in the French Riviera. Enjoying the views from the coastal road you will make the journey to Antibes. This beautiful old harbour town with ramparts is where Picasso lived. The next stop is to the world-famous city of Cannes where you can take a walk on the film festival red carpet and wander down the Promenade de la Croisette. Your guide will point out the most luxurious hotels that everyone from Marilyn Monroe to Scarlett Johansson have stayed in over the years. The last stop of the day is at the medieval village of Saint-Paul-de-Vence. This village with its stunning sea views was a haven for a variety of actors and artists including Matisse. The art scene is still popular with a variety of galleries to explore along the cobbled streets. Your driver/guide will drop you back at your hotel in Nice at the end of the day. What Cannes, Antibes, and Saint-Paul-de-Vence Half-Day Tour Includes? Visit Cannes, Antibes, and Saint-Paul-de-Vence on a half-day small group tour with multilingual driver/guide. Don't expect too much time to wander around - There's only a 10 minute stop in Cannes. Travelers Reviews about Cannes, Antibes, and Saint-Paul-de-Vence Half-Day Tour? Travellers talking about this tour on GetYourGuide, TripAdvisor, and Viator give it great reviews and say that the friendly and enthusiastic guides are what make this trip memorable. They say it's good value for money, well organised, and would recommend this tour to other visitors as it's a good way to see places that would not usually be visited. Some people were disappointed with the amount of driving compared with how much time they got in each place reporting 3 hours of drive time with just 10 minutes in Cannes but despite this (there's a lot of ground to cover in just 4 hours) the majority of visitors give it top marks. Wheelchair accessible - Notify the tour company when you book if you require wheelchair access. Pack drinks and snacks for the journey. Collection from central Nice hotels.